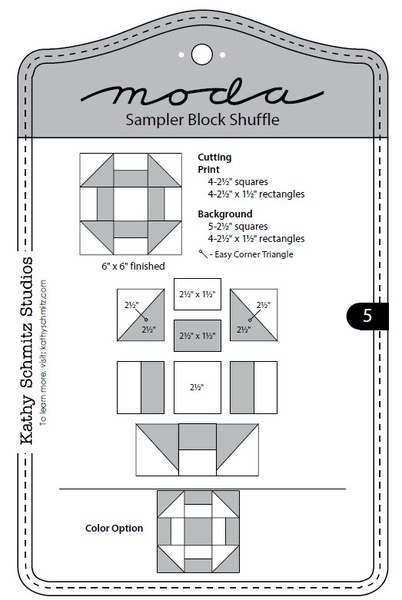 I ran across the Moda Sampler Block Shuffle 2015 project at Bear Creek Quilting Company an decided it would be a fun project to try. 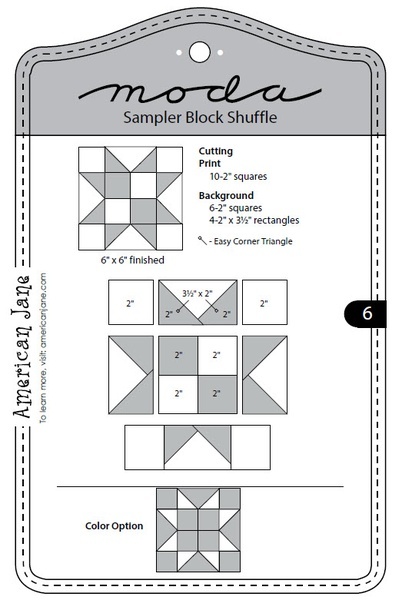 The first three block patterns were released last week, and blocks 4, 5, 6 were released Monday. 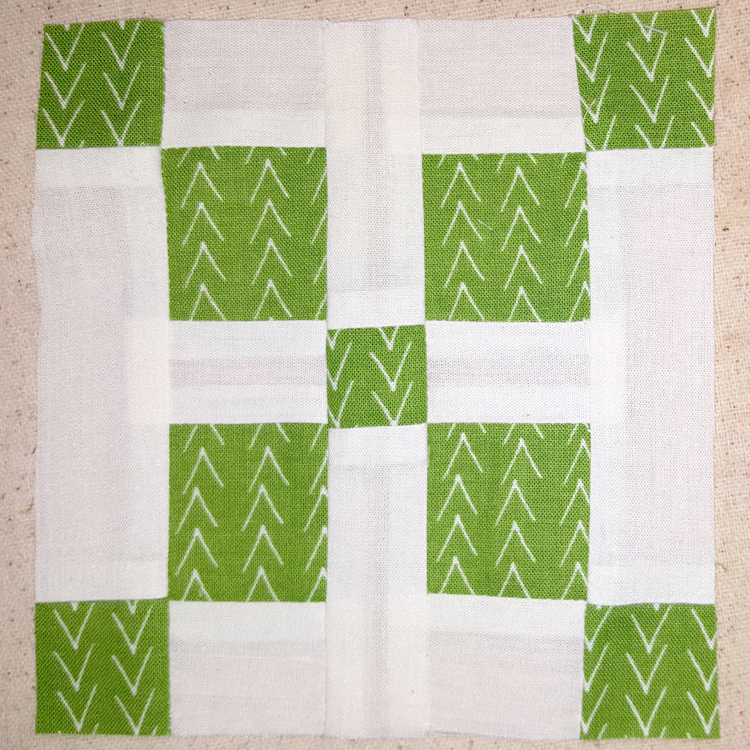 I ended up not having time to sew the second set of blocks Tuesday night, but I was able to sit down and make them last night while I hung out with a sick kiddo. 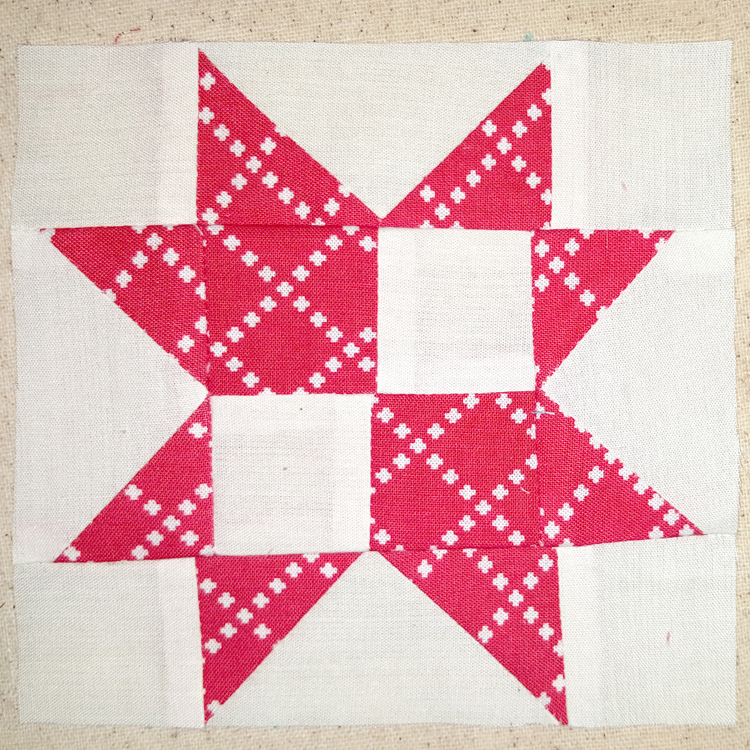 I posted the first three blocks of the project HERE. 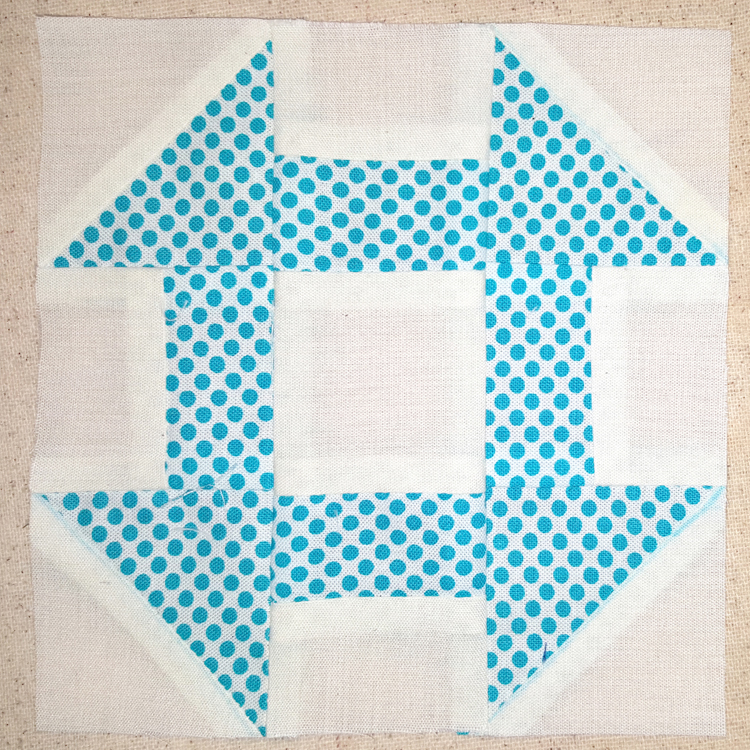 For this project, I am using the fabric Good Neighbors designed by Amanda Jean at Crazy Mom Quilts. The fabric is sold exclusively at Connecting Threads. 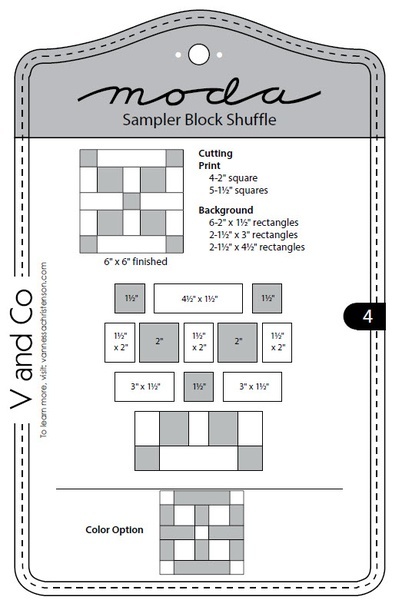 Block 4 was pretty straightforward, and I was really happy that all the points match up really well in the final block! 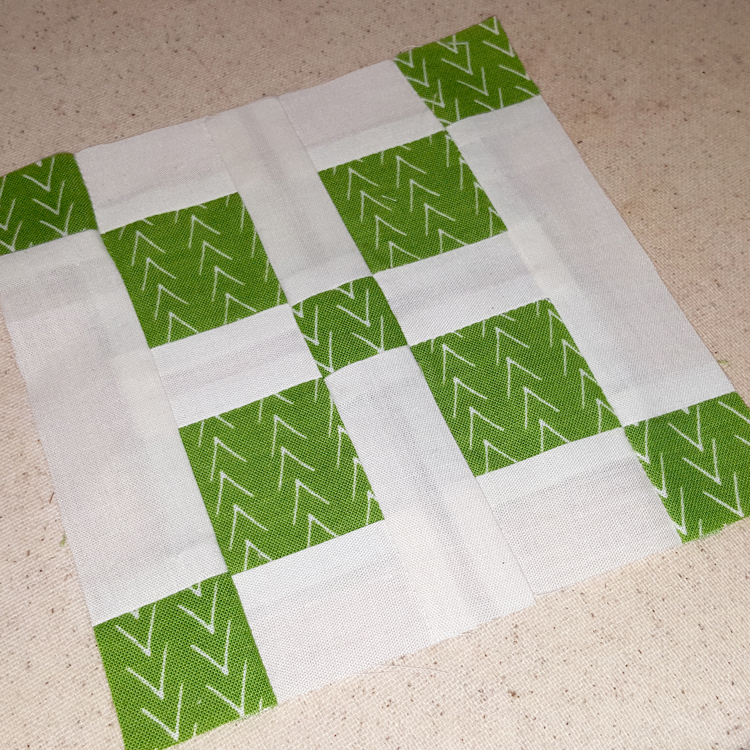 I actually had to make this block twice, and I am still unsure where I went wrong with the first one. It ended up being about 2″ smaller than it should have been. This is the second version, and I was much more strict about following my drawn lines (you can see one of them in the bottom right corner block). Flying geese are totally new to me, and I was kind of nervous about making them, but I think they turned out okay. Most of my points lined up really well, and I don’t have any complaints about this block at all. 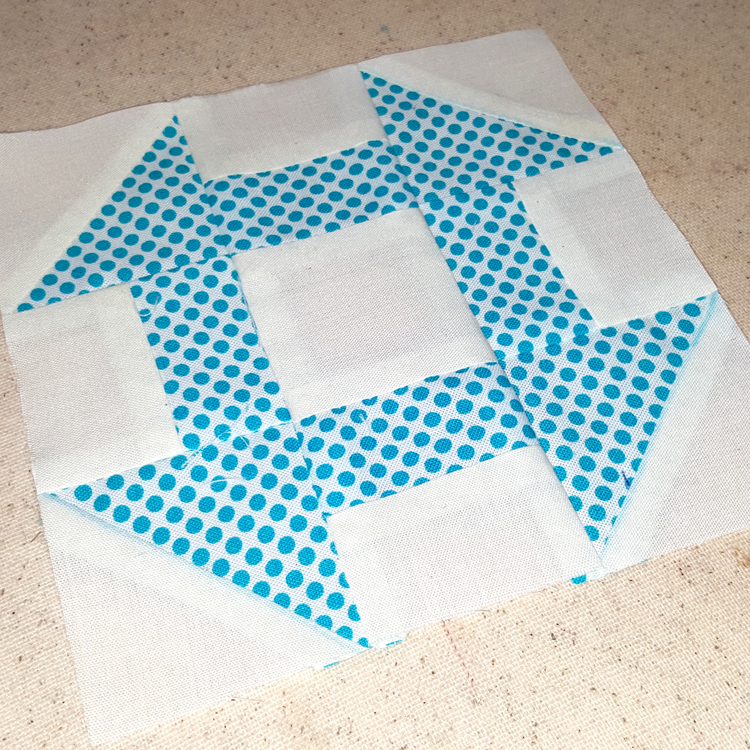 I am kind of bummed that the new block patterns are only released weekly, as I am excited at how well these are turning out. 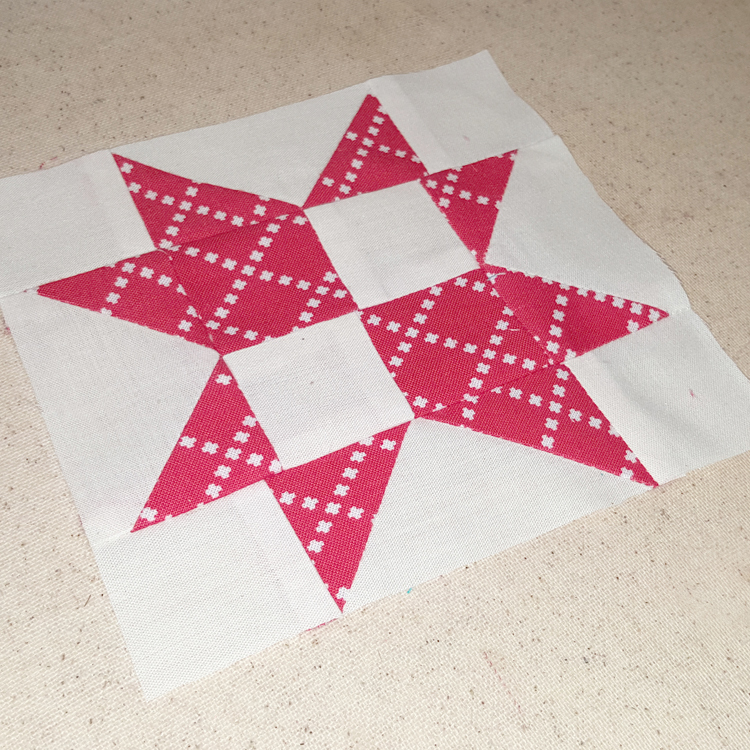 At the same time, though, I am glad because the delay will allow me the time I need to work on other projects I am in the middle of. So, until next week . . .